An early mid-season variety with excellent hardiness and excellent productivity. The canes are spiny, medium in height with strong suckering. 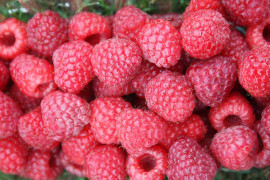 Berries are small, dark red, with good firmness and good flavour. Acidic fruit with good cohesion, excellent for freezing. An early variety with very good hardiness and very good productivity. The canes are relatively spiny, tall with strong suckering. 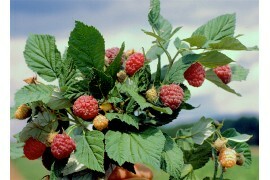 Raspberries are large, dark red, with average firmness and good flavour. Interesting for the fresh market and freezing. Early variety with good hardiness, that set fruit occasionally on the primocanes (1st year growth). Canes are vigorous and bear few spines. 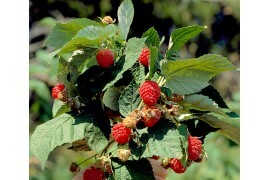 The berries are round shaped and red to dark red with a good firmness and good taste.